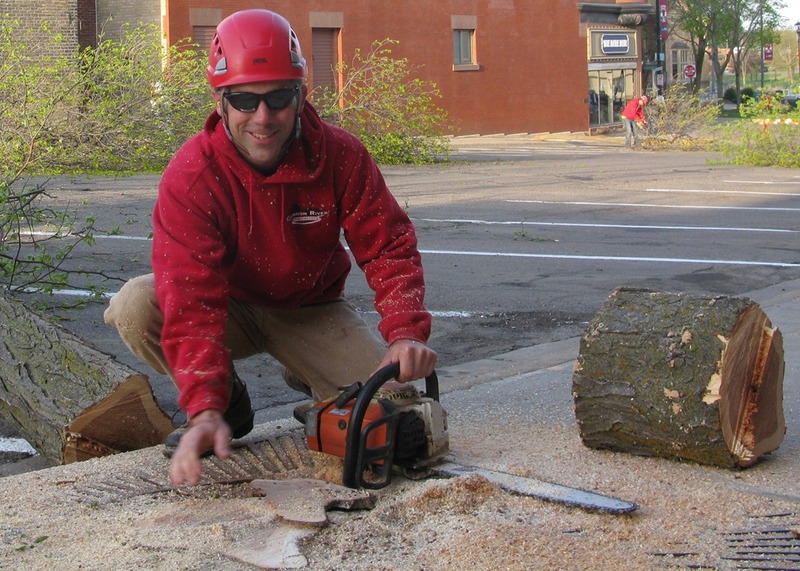 The boys from Cannon River Tree Care took down the 11 trees on 4th St. between Division and Washington this morning, marking the start of the 4th St. reconstruction project. 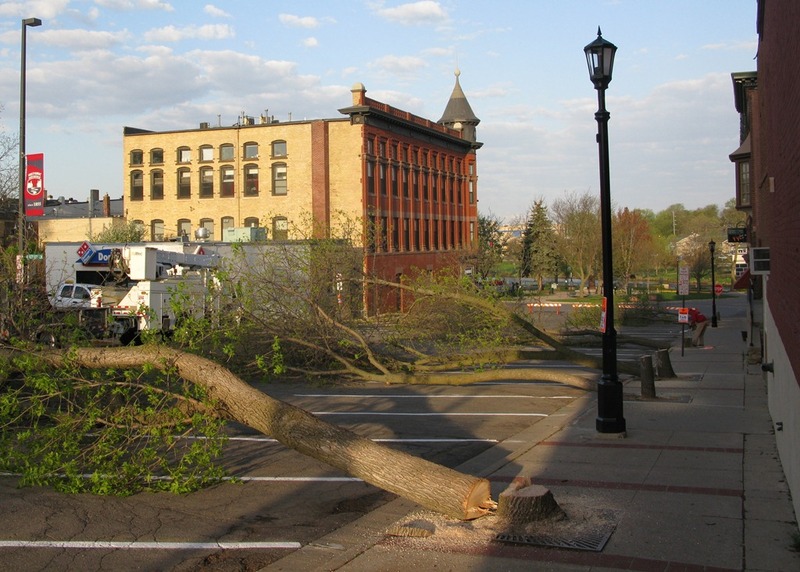 See all our blog posts on the 4th St. reconstruction for background. 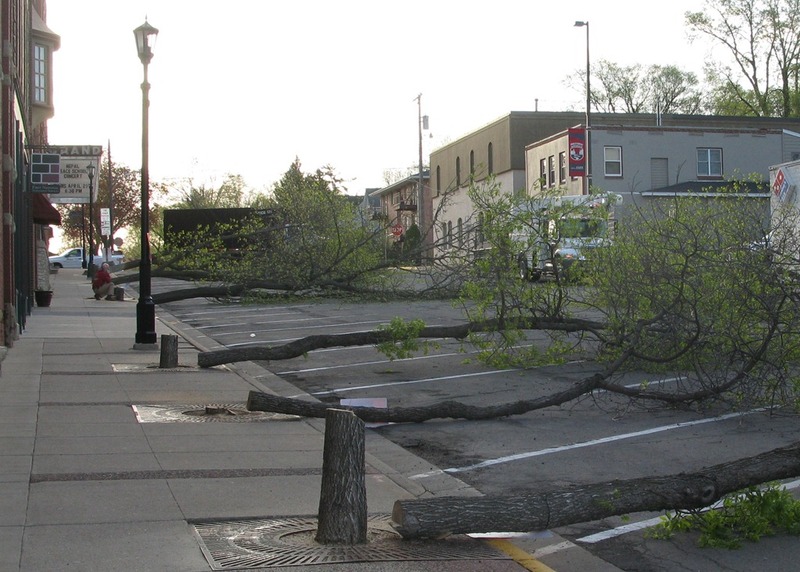 The short version: these trees will be replaced with in-ground trees.